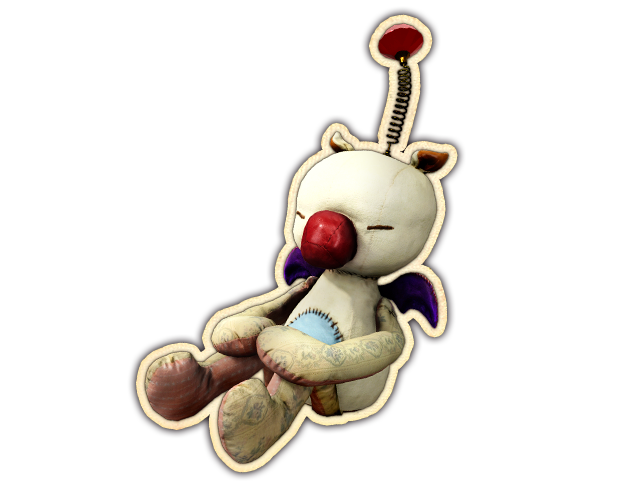 Moogle is an item in FINAL FANTASY XV! Moogle will appear in FINAL FANTASY XV as a LUCKY ITEM! 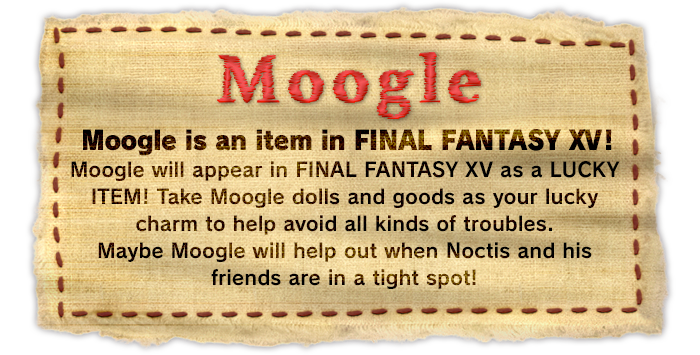 Take Moogle dolls and goods as your lucky charm to help avoid all kinds of troubles. Maybe Moogle will help out when Noctis and his friends are in a tight spot! MOOGLE COLLECTION campaign site is here.